We arrived at the costal capital city of Lisbon, historic epicentre of the vast global group Portuguese speaking nations. Could have sworn that we got ripped off by the cab driver for "baggage charges" from the airport. But, all's good - it was going to take more than 20 euros to get us down. This city has been through a lot. The old city streets bear many marks on its facades. 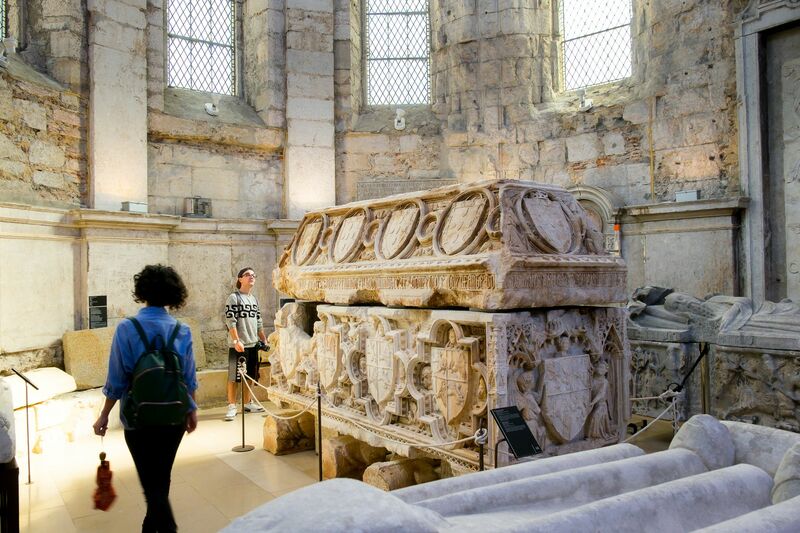 Hints of its long intense history in the Iberian peninsular. Along with her regional Spanish siblings, Portugal is a fusion pot of very different cultures and religions over the centuries. Electric trams are everywhere. Many are very old; really old. Stuffed full of locals, tourists and shifty pickpockets. Graffiti of all types paint the side streets. Colour is generously splashed everywhere. It doesn't take us long to figure out the favourite colour of this city. Undoubtably, it is yellow - sunny, bright and bold. 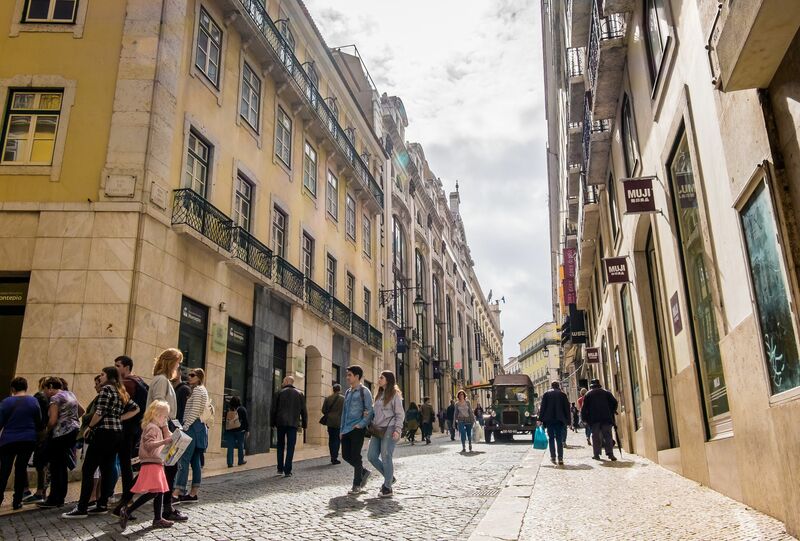 Ditching our bags at the rental apartment, armed with nothing much more that comfy walking shoes and a decent camera, we headed down tourism central - the charming Rua da Prata. Admiring the beautiful black and beige mosaics which cover most of this street, all the way to the river Tagus, I get a first sense of the close association of this city with the sea and ocean exploration. 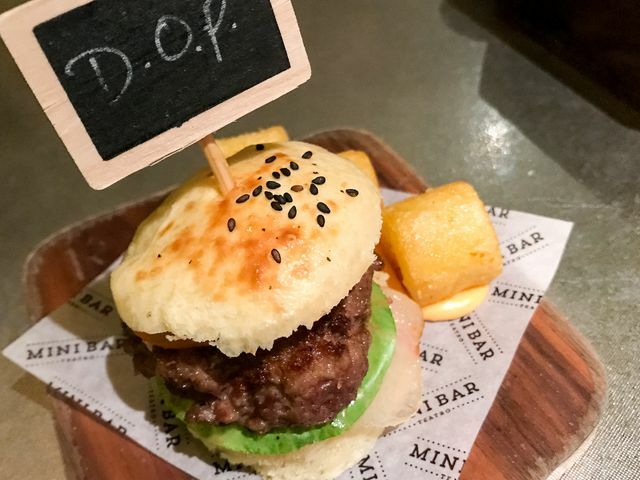 I hoped to sample some unique bits of the old Portuguese empire - bacalhau (salted cod fish), egg tarts (Portuguese custard pastries) and Fado music. We didn't have to walk very far before stumbling on bacalhau, albeit a much modernised version, in a pretty shop. We were getting thirsty. 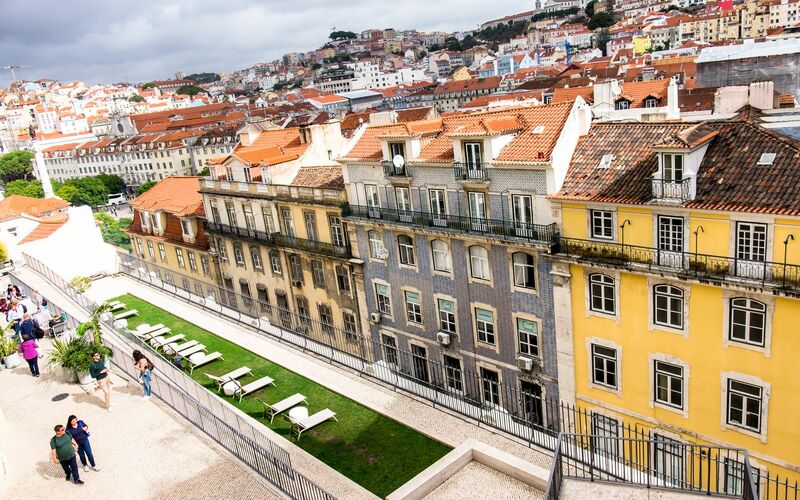 We scoured the surroundings of a very large square of Lisbon, the Praca do Comercio. Where does a tourist go to get a cold one around here? Ahhh, the beer museum. It was all too easy for us to drift straight on in. Tsk tsk, choice can be a bad thing. Had to pick one. Nightfall came. We managed to slip in a last minute dinner reservation over the phone. 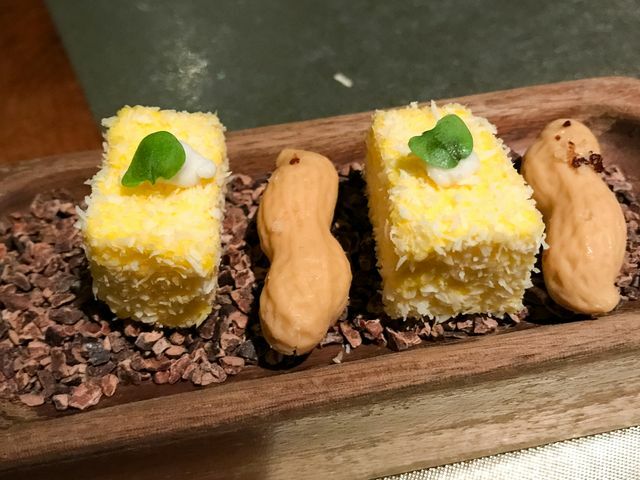 A "Michelin 2-star" for dinner perhaps? The Mini Bar Theatre it is on the Michelin food guide, but it has not got any stars (yet??). What it has though, is oozing cool ambience. An interesting place of fine dinning in an old theatre, where nothing is what it seems. Morning came. 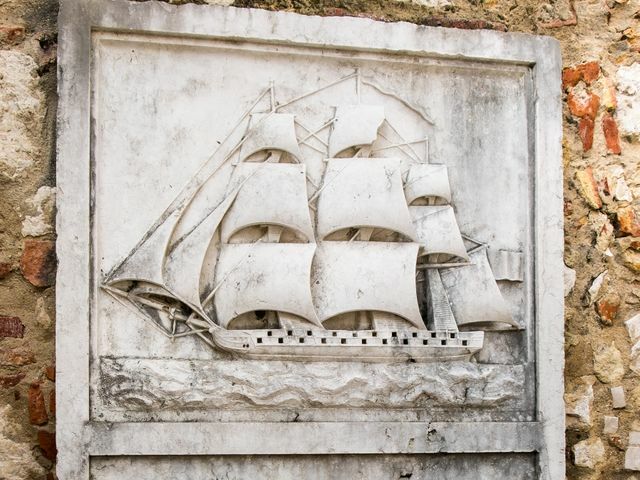 Like brave Portuguese explorers who founded many new lands during the age of sail and Discoveries, we eagerly headed out to discover the gems of this city and "unearth" her special treasures! 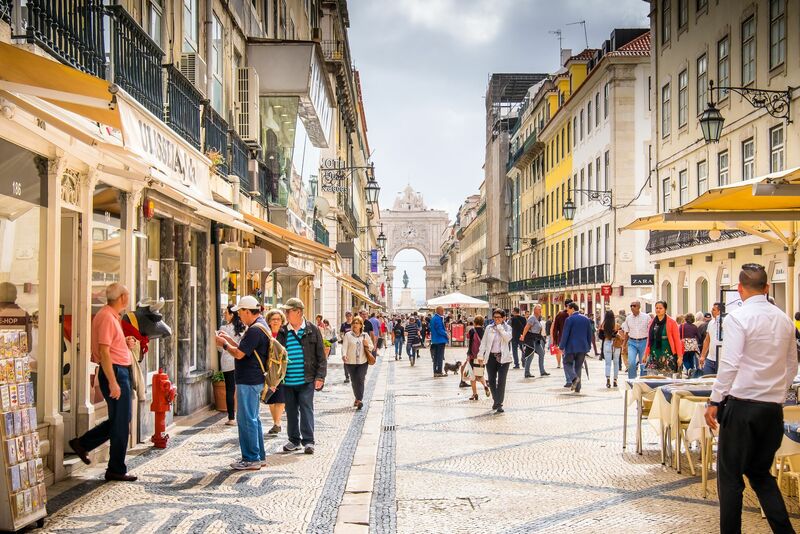 Charming shops lined the streets of Chiado. A vibe here exuberates cool and vibrant. Along the hilly roads are old classic cars, and of course, the modern Wi-Fi emitting electric ones. The streets here remind me of those in San Francisco. We trooper on to the top of the neighbouring street to find the Carmo Convent. 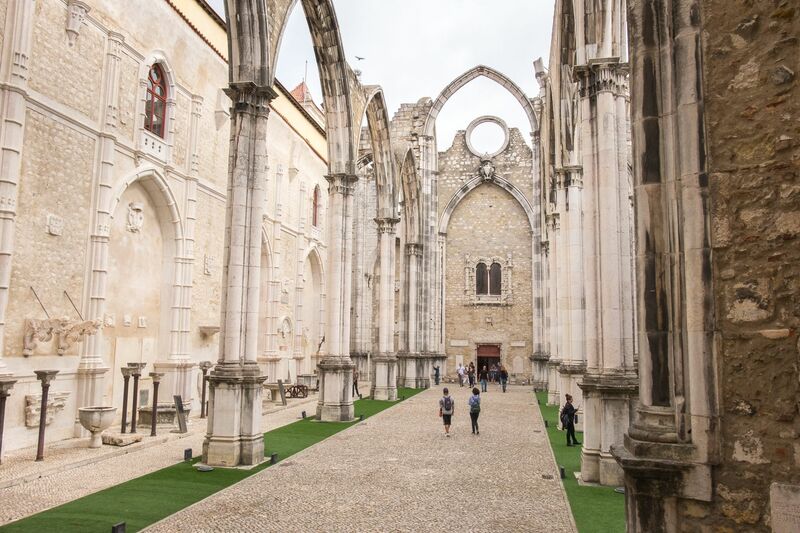 This monastic complex lost her roof during the great Lisbon earthquake in 1755. That deadliest quake, along with its powerful tsunamis and asphyxiating fires, claimed over 10,000 (possibly up to 100,000) lives. It almost completely destroyed this city. Many historic landmarks in the city still bear its scars. Outside (the convent) and around the back is a nice view. We saw many colourful buildings of this city. 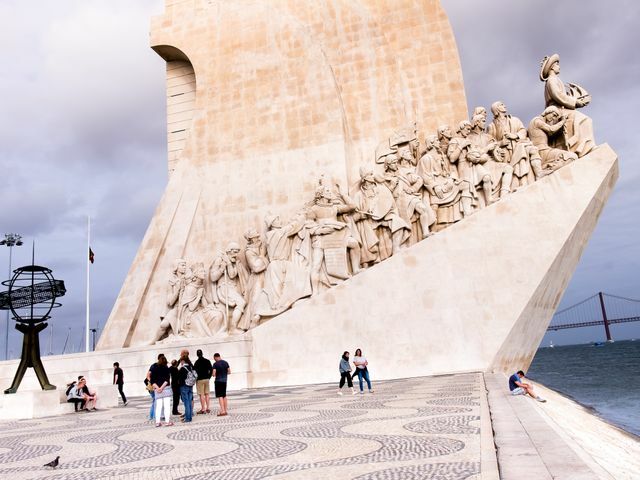 Nearby is the most famous landmark of Lisbon. 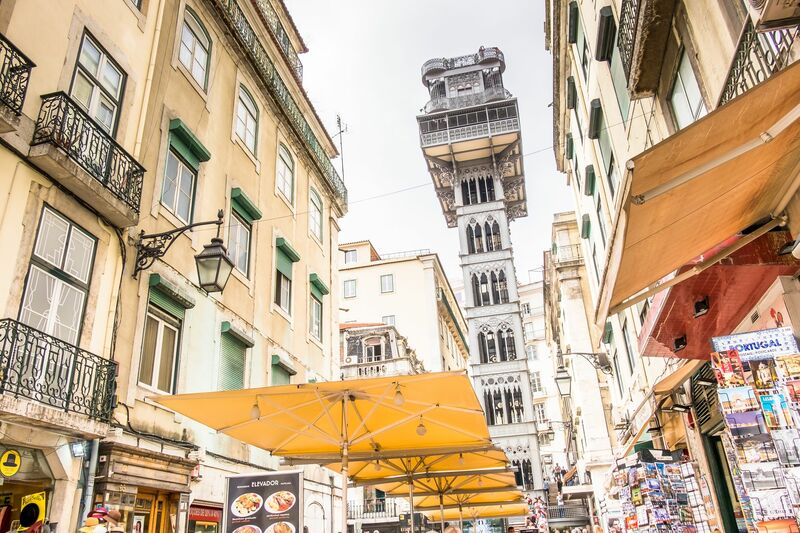 The elegant Santa Justa Lift. If the Effiel Tower in Paris had a "Mini Me", this would be it. 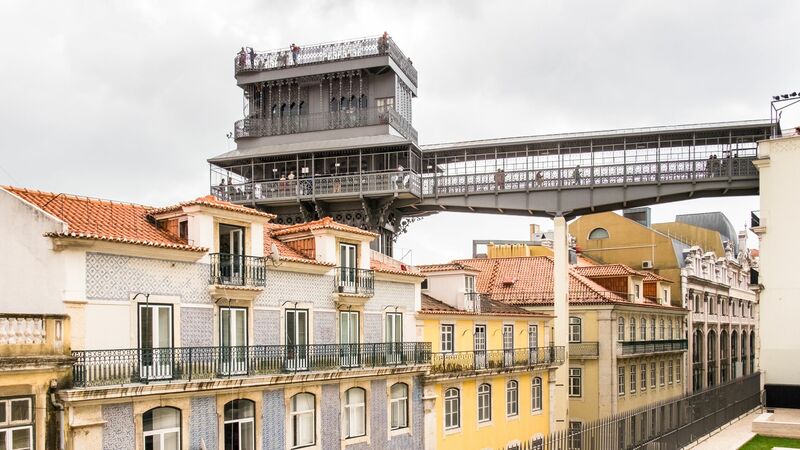 Also made from ironworks, it was built to help folks move quickly between lower and higher Lisbon. There was a decent queue to ride up this elevator. We decided instead to take the free express elevator (behind the Carmo Convent) down. The elevator doors opened. We got out. The sound of live music. Sweet "Halleluja". Not quite live local Fado, but soothing sounds of an acoustic guitar and the moving voice of Janileigh Cohen (Bolton, UK, big fan of Leonard Cohen). We could not help but hung around to appreciate a couple of songs, along with the many tourists queuing to get up the Santa Justa. We were getting hungry. 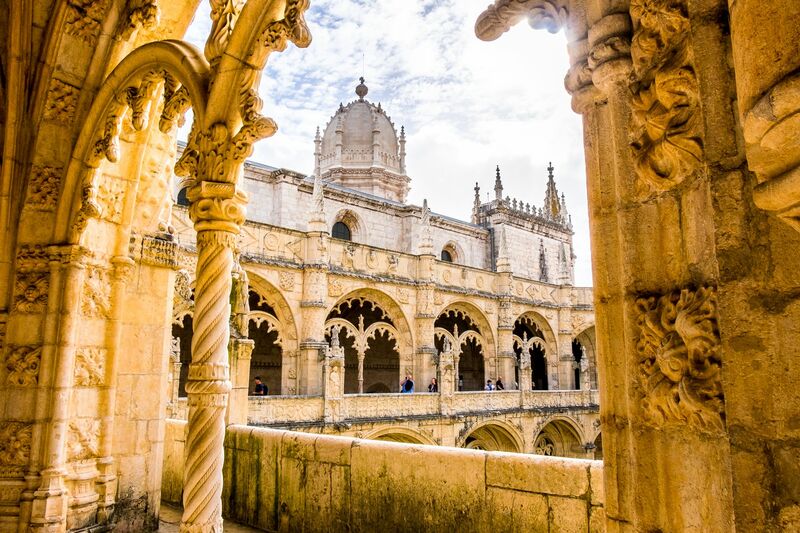 We headed over to nearby Belem, source spring of the global Portuguese egg tart phenomenon, and home of the monks who first created them. The Pasteis de Belem truely lives up to expectation. We bought all the egg tarts we thought we could eat, and then some. 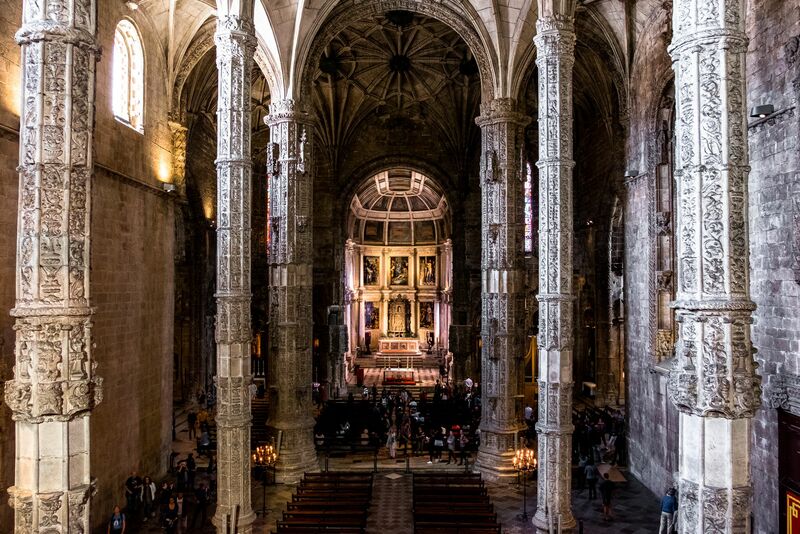 Nearby, the Jeronimos Monastery is an impressive place with high ceilings. Within the monastery is a dimly lit cavern of a church. This place is huge. A structure which reminded me of the film Lord of the Rings and that scene of an enormous cavern in the mountains - where one devilish flaming Balrog runs amok, aiming to crush our unlikely heroes. We head towards the river front. 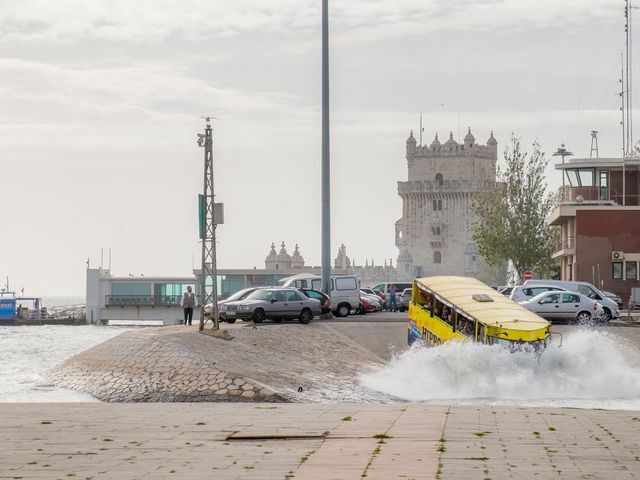 Here the river Tagus is close to emptying out to the Atlantic, where famous explorers of the middle ages set sail for the new Americas, with their sights on Inca gold and many other exotic bounties. 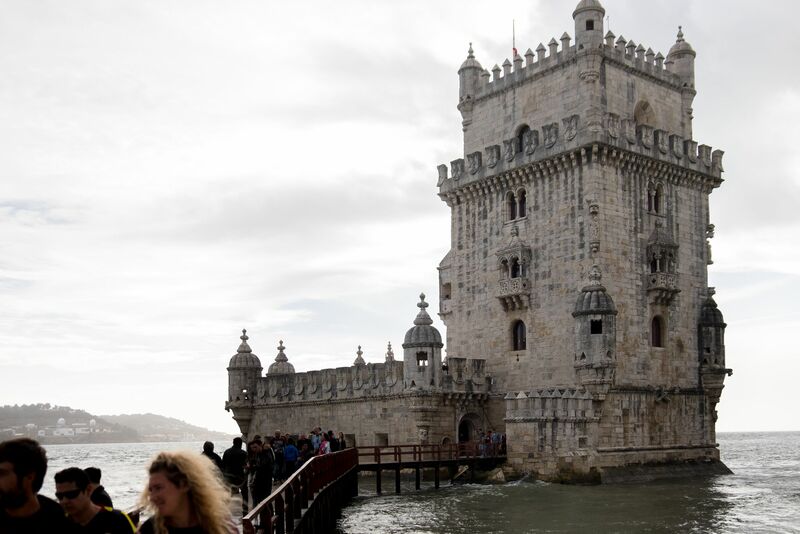 The monument of the unmistakable Belem Tower, which defended the entry way into the Tagus, continues to loom over the river. Taking in big breaths of ocean air, we chilled out to the sound of accordion pop-music and watching the local little dog keep at stand two (or "four" in this case). Poor chappie, I hope he gets a good dinner for all his efforts. Muito obrigado Lisboa (many thanks Lisbon) for the memories. p.s. 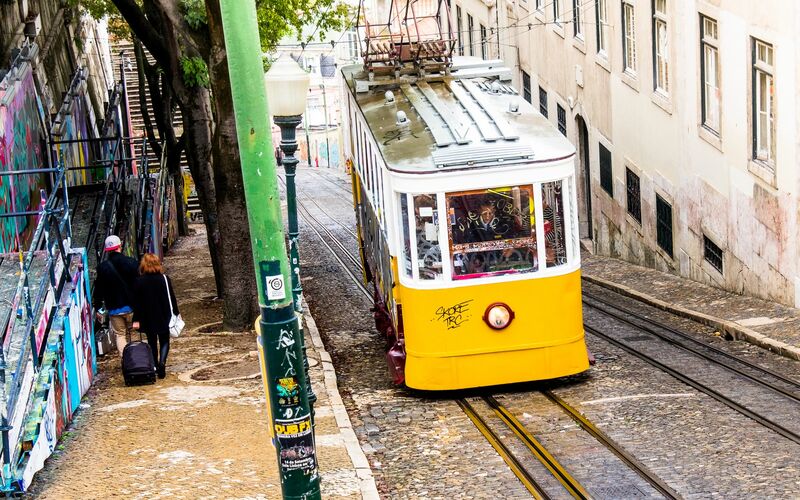 Here are details of our Lisbon with Sintra itinerary. A free and independent traveler from the Southern hemisphere. Inspired. Curious. Explorer.